Oreo keeps cranking them out. We keep buying them and tasting them. 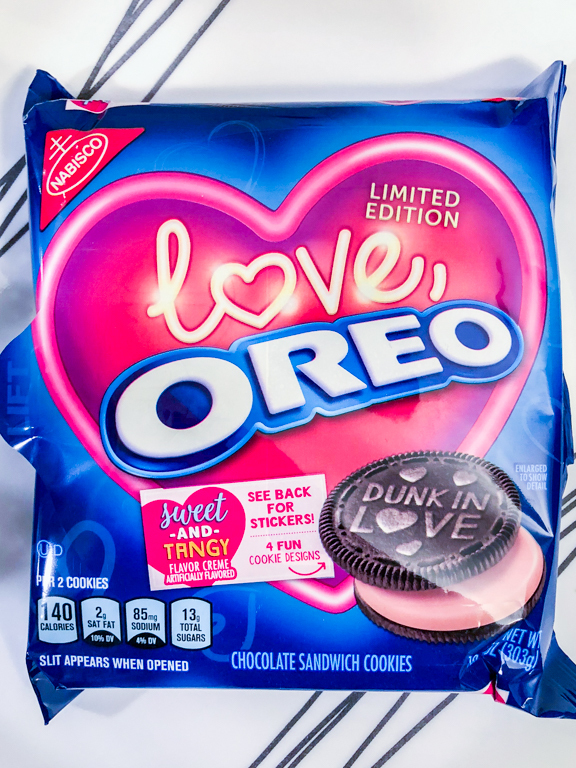 As a special release this Valentine's day, Oreo has released a new flavor. 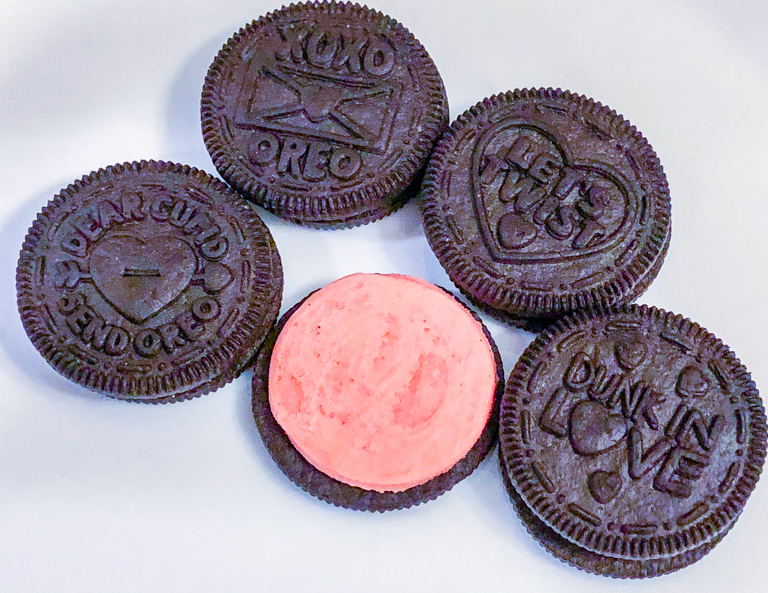 Sweet and Tangy Oreos don't have a specified flavor. 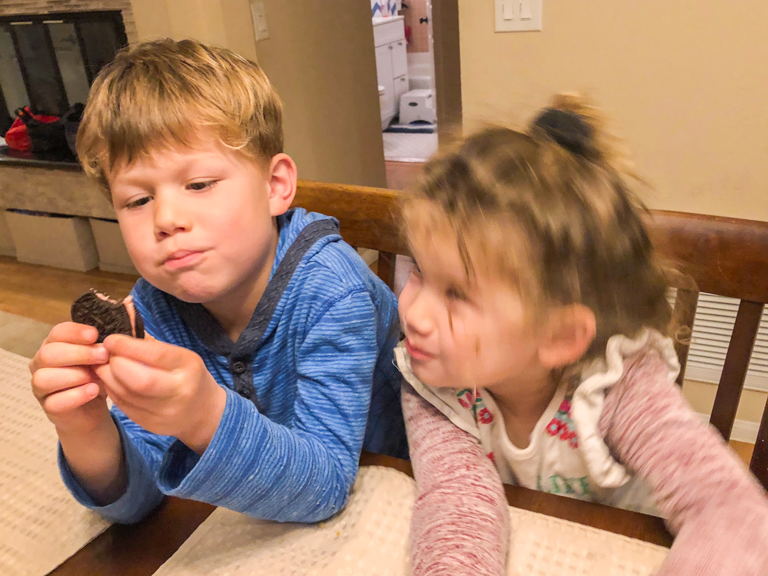 It's a little like the Mystery Oreo where the flavor tastes familiar but you can't quite put your finger on what it tastes like. Here's a look at the front packaging. And look! Along with 4 cookie designs, there's stickers! The filling is very pink. 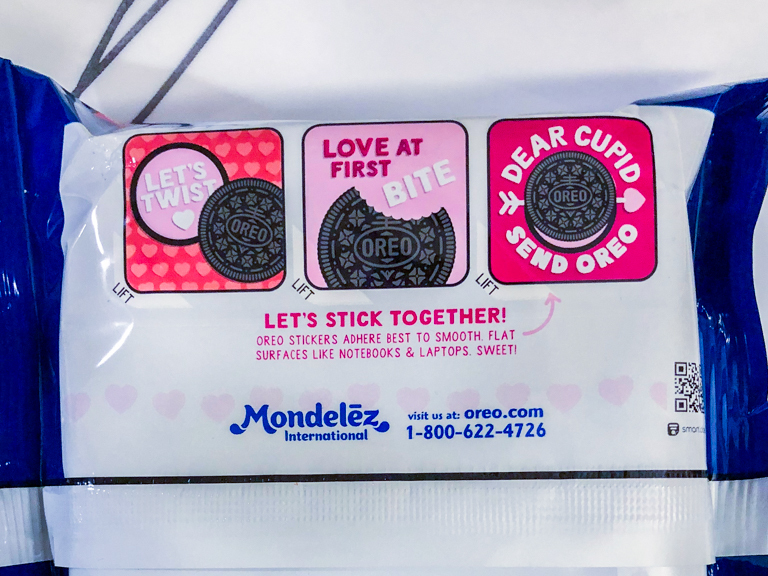 The cookie designs are on a single side. The other side is the regular Oreo cookie. Time to eat them. 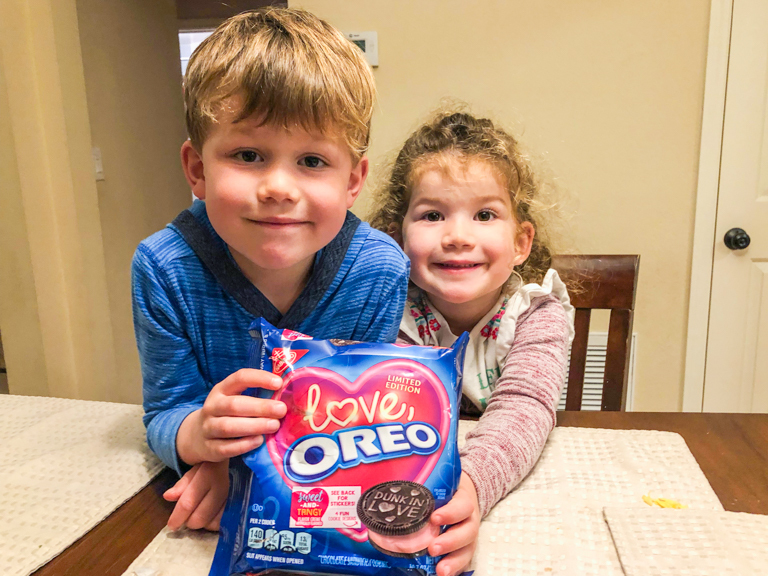 The kids like them no matter what they taste like. They smell and taste like something very familiar. There's a citrus flavor to be sure, but that's not quite it. 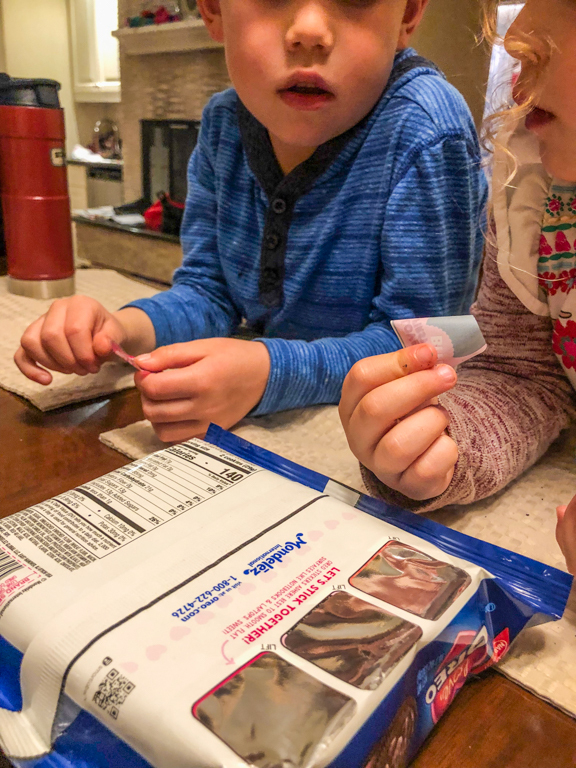 Do you remember the chewy candy called Mambas? Sort of like Starbursts. Theresa thought they tasted like Lemon Mambas. Others I gave them to thought maybe Strawberry Starburst or Skittles. I think one of my co-workers was probably closest when she compared it to Pink Lemonade. A little citrusy and a little something else. Now how about those stickers. Ian - These stickers aren't very good. I'm with you buddy. They're pretty terrible. They have no sticky backing at all, they curl up, and barely stick to whatever you put it on. When you were in school and exchanged valentines with your classmates, which ones were your favorite? Probably the ones that had candy attached to them. Well you're not supposed to bring candy to schools anymore, so the next best thing are the ones with a toy. T wasn't finding anything she was super happy with, so we took the initiative and put something together ourselves! Everyone likes Lego, so we thought it would be fun to make everyone a Lego Valentine heart. Whenever you need lots of a specific kind of Lego brick, my favorite resource is Bricklink.com. I used it extensively when I made my Lego Mickey Mouse mosaic. Sellers have thousands of bricks both new and used available in bulk prices. In our case the new bricks cost about 4.8 cents for the 2x2 bricks, and 15.2 cents for the 2x4 bricks. 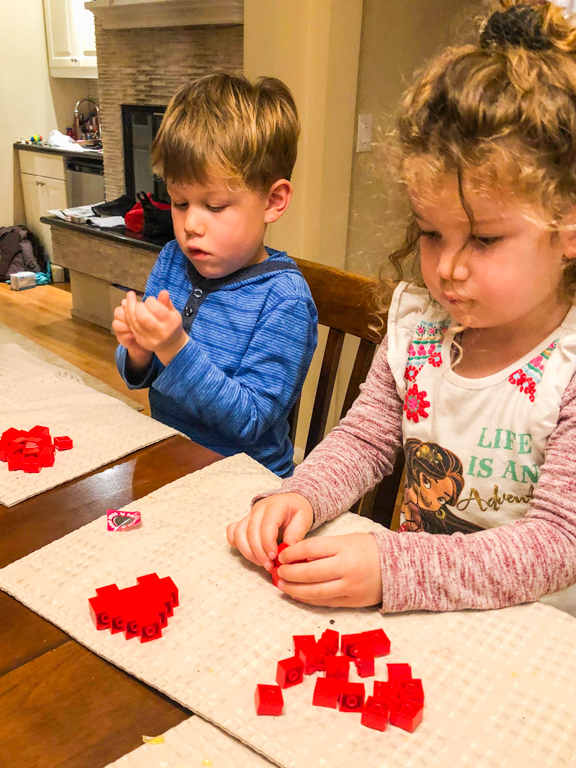 Both Alli and Ian were really good at following the pattern and putting together 26 hearts. Time to write your name 26 times. Be happy you have a short name. 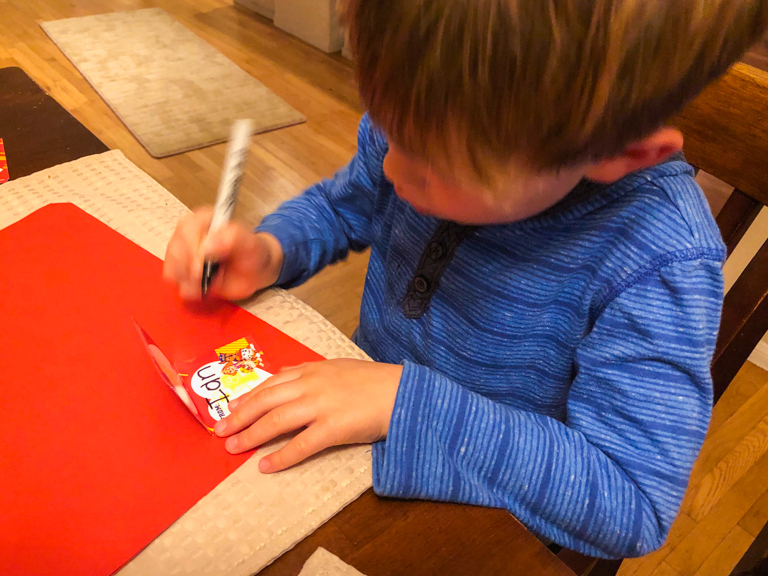 Alli helped me stuff the cards and the Lego hearts into Valentine's bags and we're good to go! Hope you've got fun plans for Valentines! 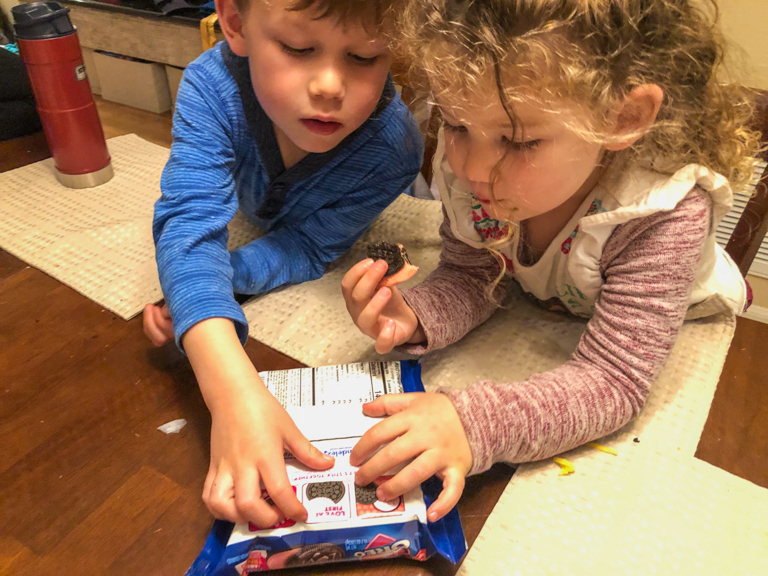 We're always up to try new Oreos. 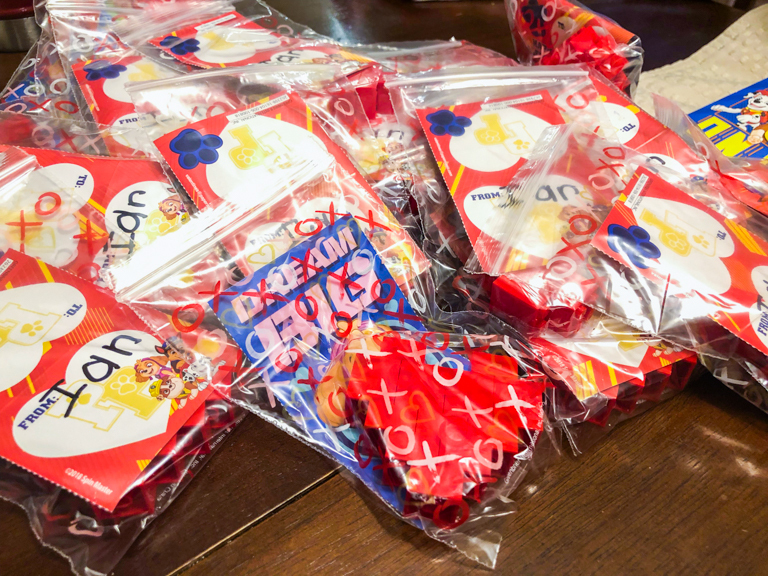 It was great to get to combine everything in one big Valentine celebration. The Lego was really fun. That Mickey Mosaic was a lot of fun. I'd totally be up for doing another one, I just need to figure out a way to get the cost down. That or figure out another medium. I've given some thought to Jelly Bellys instead of Lego. Haven't pulled the trigger yet. Ooh I'm going out to buy those Oreos today now! 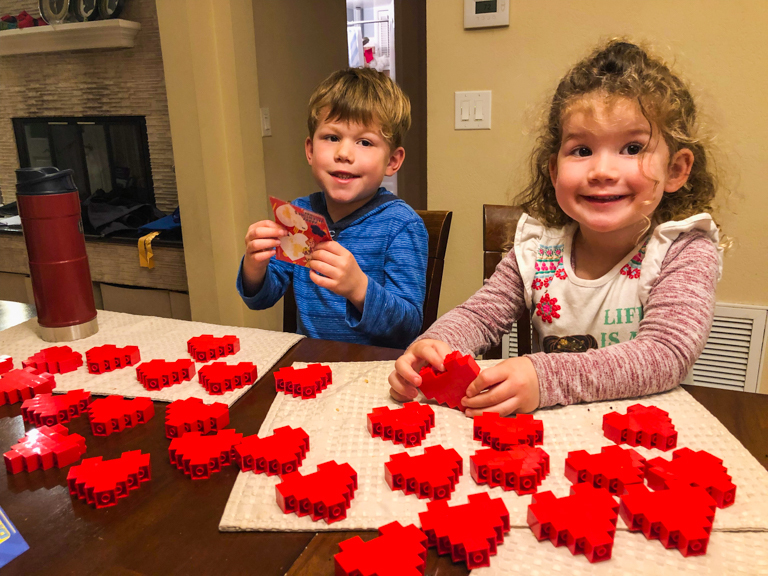 They sound delicious :) Such a cute and creative idea making Lego heart Valentines! I had no idea that you're not supposed to bring candy to school on Valentine's Day! What a shame, that was the best part!! The pink and red Nerds were my favorite. P.S.Kind of a request but I'm really interested in the amount of Disney hats you own and I was wondering if you could do a video or blog post showing your entire collection?! If not, I understand! Nerds were fantastic and my favorite too. Let me know how you like those Oreos. It's been a goal of mine to get something started showcasing all my Disney hats. Matter of fact, back in 2011, I registered disneyhats.blogspot.com but I never did anything with it. Mostly because I've wanted to do something special for each hat, like take a photo of it inside the park with something that's related. But the size of my collection is prohibitive. Instead, I might just take a few photos of each hat and tag it with as much information I know. Right now my biggest difficulty is time. I'm always behind on reports (currently working on our 14 day Disney trip to Asia). Stay tuned anyhow. I'll post something on the main page when I get to it. Thanks for the comment!